Adults: When has the generous gift of another offered you hope? Kids: What loving gift could you give to another person this week? 07-22-2018Liturgy CornerFr. Paul Turner © 2004 Resource Publications, Inc. The amice is a liturgical garment that may be worn around the shoulders under the long white alb. It is a rectangular or oblong linen cloth worn lengthwise. Two strings or tapes dangle from adjacent corners of the top, where a cross is sewn in the middle. 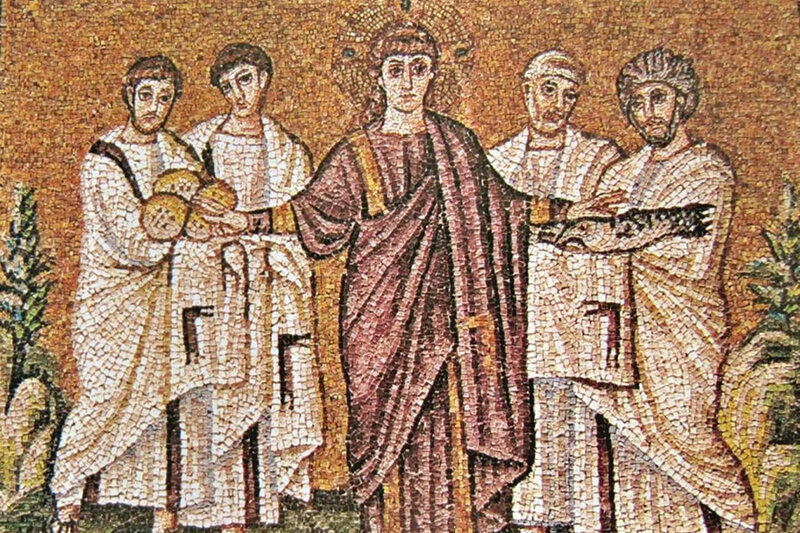 The great division of the early church, which St. Paul often addressed in his letters, was the division between Jews and Gentiles, or, more accurately, between Christians and Jewish background and Christians outside the Jewish tradition. Paul, formerly Jewish, now Christian and a missionary to the Gentiles, preached that Jesus “broke down the dividing wall” (Ephesians 2:14). Through the cross, “you who were far off” (Gentiles) and “those who were near” (Jews) have become one, the church, one body of Christ (Ephesians 2:17). Adults: What do you do to rest so that you can return to work refreshed? Kids: When will you take time to stop and pray this week? Are you following in the footsteps of the Apostles? Like we learned last week, it's not easy to be one of God's missionaries. Look at Amos. In the verse preceding today's first reading, Amos prophesied, "Jeroboam shall die by the sword/and Israel shall surely be exiled from its land" (Amos 7:11). This did not go over well. Jeroboam, after all, was the king of Israel. No wonder Amos was told to leave and never come back. But Amos did not leave, for he was sent by God to "prophesy to my people of Israel" (Amos 7:15). 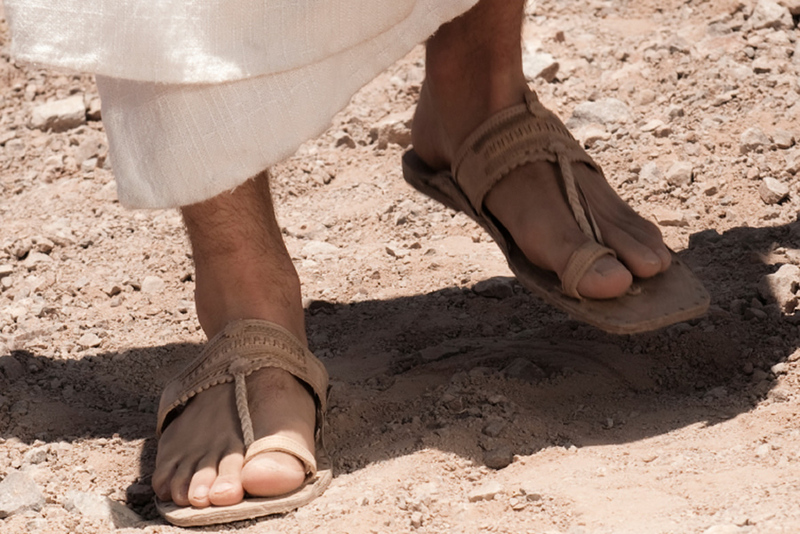 The apostles had it easier, for Jesus told them that if they are rejected they should merely "shake the dust off your feet in testimony against them" (Mark 6:11). But this delivered a strong statement, as it meant that that home was unclean, capable of polluting the rest of the town. Still, the apostles did not have it easy. They traveled without any food, money, or extra clothing. They had to trust God, had to be dependent on strangers. But in doing so, they successfully carried out Jesus' mission. They proclaimed the saving power of God in Christ Jesus, as did perhaps the most influential missionary of all time, St. Paul, whose Letter to the Ephesians begins with the rhapsody of praise we hear today. How can we be part of God's mission? 07-15-2018Liturgy CornerFr. Paul Turner © 2000 Resource Publications, Inc. The diversity of vestments shows the diversity of ministries. At almost any Eucharist the priest's attire differs from the server's. A deacon also wears vestments pertinent to his ministry. Readers rarely do. The assembly wears no liturgical vesture. Communion ministers in some communities wear something to distinguish their role; in other communities they do not. There is no universal rule governing this choice. Adults: What good news of Jesus can you share with others this week? Kids: What good news of Jesus can you share with others this week? The life of a prophet is not easy. Prophecy demands one go against the flow. Ezekiel had an especially difficult task. He was called by God to prophesy just after the Chosen People were driven into exile. Somehow, he had to restore a sense of trust that God was still God, still all-powerful and still faithful to the covenant. But the Israelites were understandably “hard of face and obstinate of heart,” having been defeated by the Babylonians and evicted from the Promised Land (Ezekiel 2:4). Jesus faced an equally stubborn people in his fellow Nazarenes. Whether they were resentful or just plain skeptical, they could not accept that a great prophet could possibly have come from among their number. But if there is to be a positive lesson here, Paul points us toward it. Initially he begs the Lord to remove the infirmity that afflicts him. Scripture scholars are not sure if this is a physical ailment, an opponent, or something else entirely. But whatever the case, Paul makes his peace with it, realizing that in his very weakness the grace of God show itself most strongly. The power of God manifests itself most clearly in overcoming a difficulty, not in being easily successful. 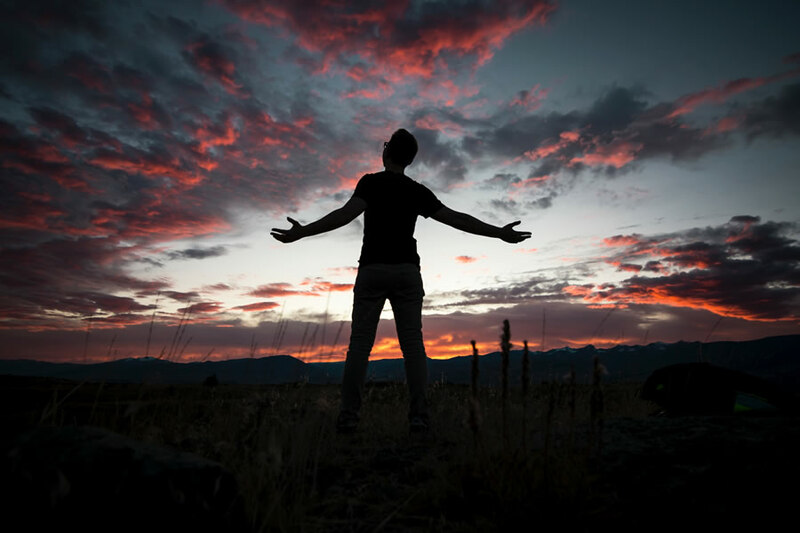 How is the power of God manifested in you? Adults: What unavoidable weakness in yourself do you struggle to accept? Kids: What have you wished would be different or better about you? Adults: When have you felt enriched by a sacrifice you made for another? Child: Whom could you help by your acts of kindness this week? The goodness of God in times of need is in full display in today’s readings. The author of the book of Wisdom wrote at a time that Greek culture had permeated Jewish traditions and Greek rule had divided the Jewish community. Wisdom tries to reconnect the people to their ancestral faith. God’s creation is good, and did not include death. We were created to be immortal in the image of God. Though the devil brought sin and death into the world, “justice is undying” (Wisdom 1:15). Living in accordance with God’s goodness leads to unending life with God. A century or so later a severe famine in Jerusalem inspires Paul to write a primer on Christian charity. 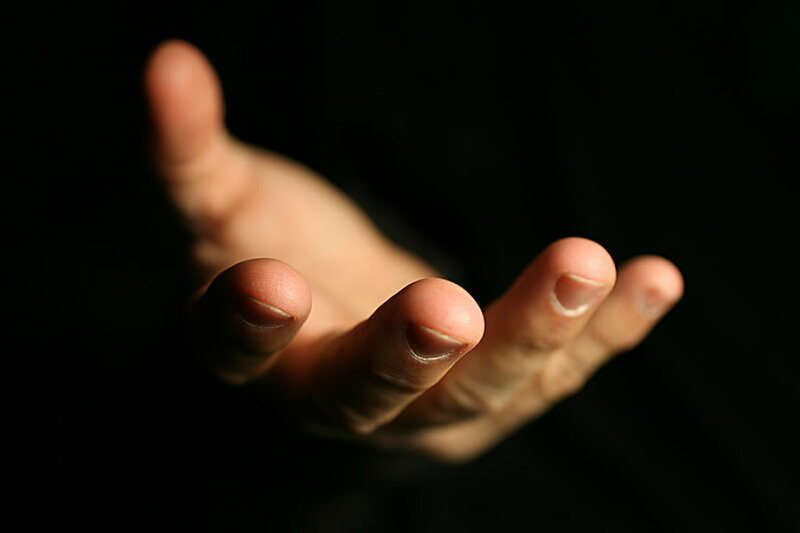 Those who have in abundance are obligated to give to those who are in need. After all, Jesus, though he was God, emptied himself for our sake, allowing us to become rich in his grace. 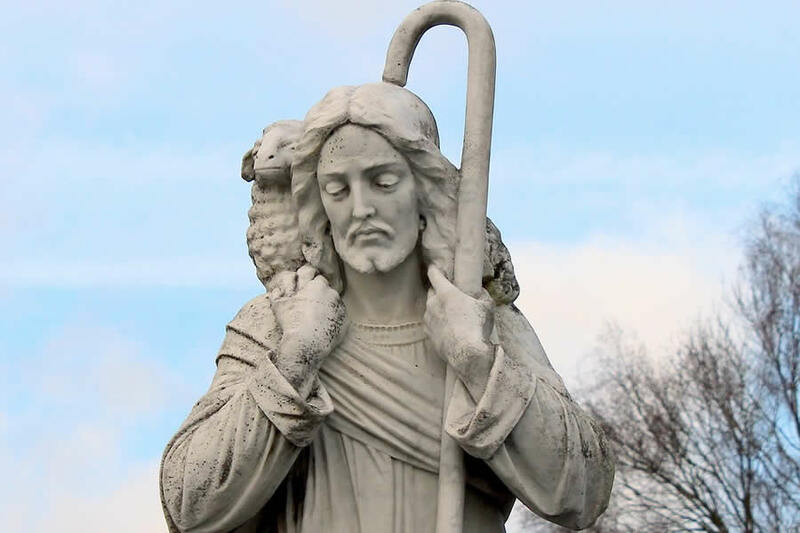 In today’s Gospel, Jesus encountered two people in need: Jairus, whose daughter was ill to the point of death, and an unnamed woman, who had been suffering hemorrhages for twelve years. Despite the opposite ways they approach Jesus, the faith of both in the goodness of God and in the power of Jesus over disease and death leads to healing and new life. Do you see yourself more like Jairus, pleading to Jesus for help, or like the woman, too timid to approach Jesus directly?